April 2009's top seller was DC's Detective Comics #853, with estimated first-month Diamond orders of 104,100 copies. The Neil Gaiman issue performed an interesting feat: as Comichron reported, it was the first time an issue of Detective, the longest-running ongoing series in American comics, had ever topped the charts. Check out the detailed analysis of the month's sales here — and sales chart here. April 2005's top-seller was Marvel's New Avengers #5, with Diamond first-month orders of over 162,300 copies. But DC took the next four of the top five slots in a month where the narrower categories were flat or slightly off year-over-year. Star Wars Episode III helped Dark Horse to one of its higher market shares across history; the movie came out in May, but orders for the adaptation issues and trade were recorded in April. Check out the sales chart here. April 2000's top-seller was Image's Fathom #12, with estimated Diamond preorders of approximately 124,500 copies. Image topped the charts only twice more in the 2000s, with an anniversary issue of Spawn and Masters of the Universe #1 a couple of years later. Also in April 2000, Marvel boosted its cover prices from $1.99 to $2.25 for most of its line, helping its market share. Check out the sales chart here. 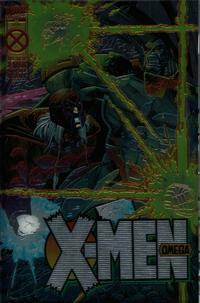 April 1995's top seller at Diamond and at Capital City Distribution was Marvel's X-Men Omega, the final chapter of the "Age of Apocalypse" storyline. Capital reported preorders of approximately 143,050 copies, placing overall orders north of 400,000 copies. Omega represented something close to an end to the enhanced-cover era; its acetate outer cover makes it one of those issues where online scans look nothing like the comic book! The book was priced at $3.99 — and the average comic book ordered within Diamond's Top 300 cost $2.39. The most common cost of comics was $2.50, believe it or not: Marvel and DC's lines were scattered across several price points, including $1.50, $1.75, $1.95, and $2.25, whereas Image, Malibu, Dark Horse, and Acclaim had many of their comic books priced at $2.50. April 1990's top seller at Diamond and Capital City was Legends of the Dark Knight #8, the third issue of Grant Morrison's "Gothic" storyline. Capital City's orders on the issue were 84,950 copies, suggesting that overall sales were closer to half a million copies. 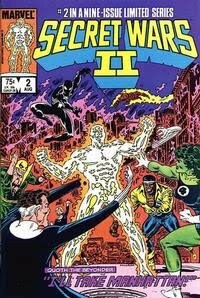 April 1985's top seller at Capital City was Marvel's Secret Wars II #2, the shorter sequel to 1984's best-selling comics series. Capital's orders were approximately 65,000 copies, suggesting overall sales in the 300,000-to-400,000-copy range. While the identically priced Crisis on Infinite Earths undeniably had a longer-term impact on its publisher's line, Secret Wars II was nearly outselling it two-to-one at Capital in April.